Spectus Vertical Sliders have been used in the refurbishment of University of Sussex student accommodation in Brighton. 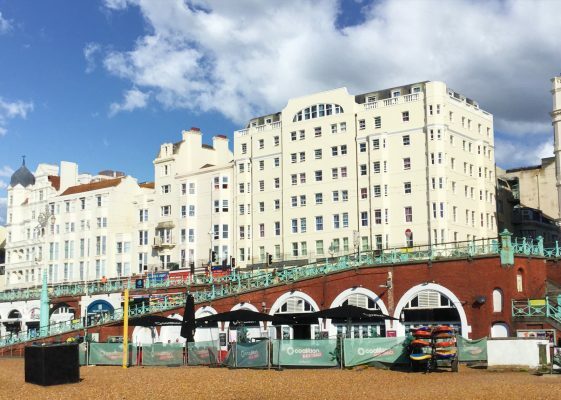 The University of Sussex Kings Road student accommodation in Brighton has a prominent position in a conservation area on the seafront. As part of a wider programme of refurbishment of the building, which houses 124 students, new windows were specified. Spectus Vertical Sliders were identified as the windows that would deliver the aesthetics required for a building in a conservation area as well as provide more thermally efficient and secure accommodation. 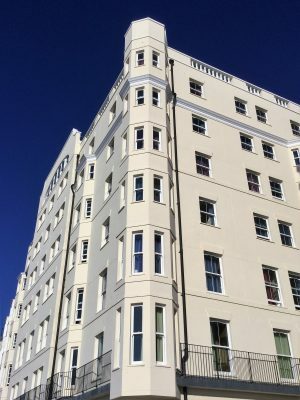 The authentic heritage appearance of the Spectus Vertical Sliders met all the aesthetic and weather performance requirements of both the University of Sussex and conservation officers at Brighton & Hove City Council. The Spectus specification team worked closely with Spectus Approved Vertical Slider fabricator Mercury Glazing Supplies and the University of Sussex to develop the technical specification for the windows. Secured by Design accreditation was an important factor, as was thermal efficiency. Solar shading glass was also specified to protect the accommodation from the full glare of the sun. As a Secured by Design-accredited fabricator, Mercury Glazing was able to deliver windows that would meet this element of the project. Spectus Vertical Sliders have a U Value of 1.3W/m2K as standard, which meant they would meet the thermal efficiency requirements. The specification for the solar shading glass was developed in conjunction with the Spectus technical team, with a final value of 4mm SN70/37 being agreed on. Once the specification had been finalised, the Spectus specification team worked closely with all parties to put together a tender for the project, which was accepted by the University of Sussex. With over 250 windows needing to be installed, the installation programme needed to be carefully planned to minimise disruption to students living in the flats. The appointed Spectus Approved installer, Feature Architectural Fabrications, worked closely with both Mercury Glazing Supplies and the Spectus Specification Manager to plan an efficient installation programme. Installation was carried out floor by floor, with deliveries to site being made in a timely fashion in order to facilitate this. 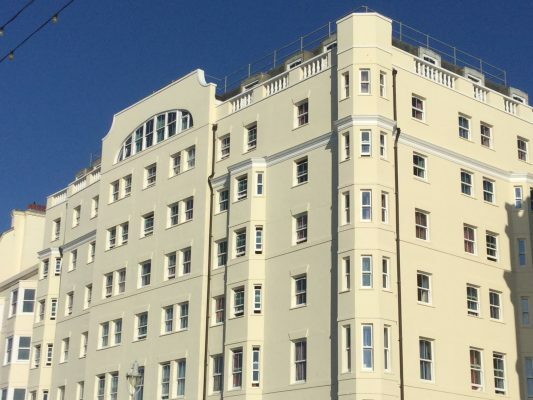 The finished result has transformed the exterior of the flats and mean they once more take pride of place on the seafront. The 124 students living in the flats now also have accommodation that is warmer, quieter and more secure than before. For more information on Spectus Vertical Sliders, please visit www.spectus.co.uk or call 0808 101 4143.